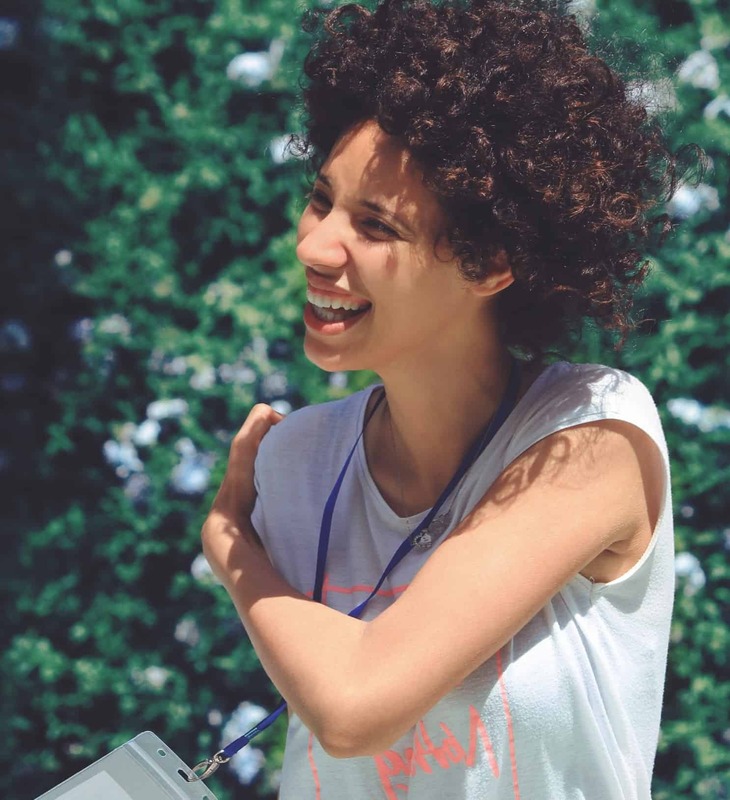 Looking for a Breezy HR alternative? Meet GoHire. Why choose GoHire over Breezy HR? GoHire is the best alternative to Breezy HR that will simplify your life, won’t cost you a fortune, and will get you better results to grow your business. Get started in seconds, and start hiring on GoHire today. Wave goodbye to time-consuming hiring and say hello to GoHire. Organise your entire hiring process in one simple and easy-to-use hiring dashboard and start hiring top talent for your business. Build exposure for each job advert you promote. With one submission your jobs will publish on the biggest job sites in the world like Indeed, Glassdoor and ZipRecruiter - for free. 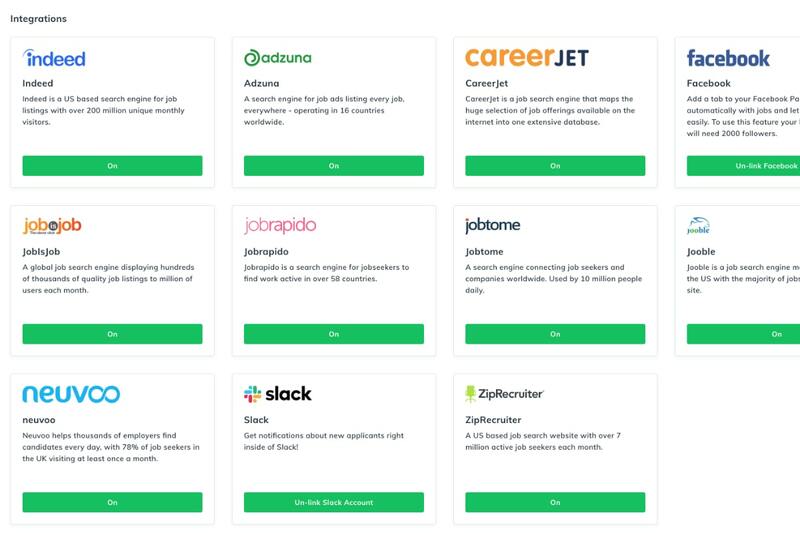 Pick and choose the best free job boards you want to promote on. There’s a better way to grow your team and build a stronger workforce. 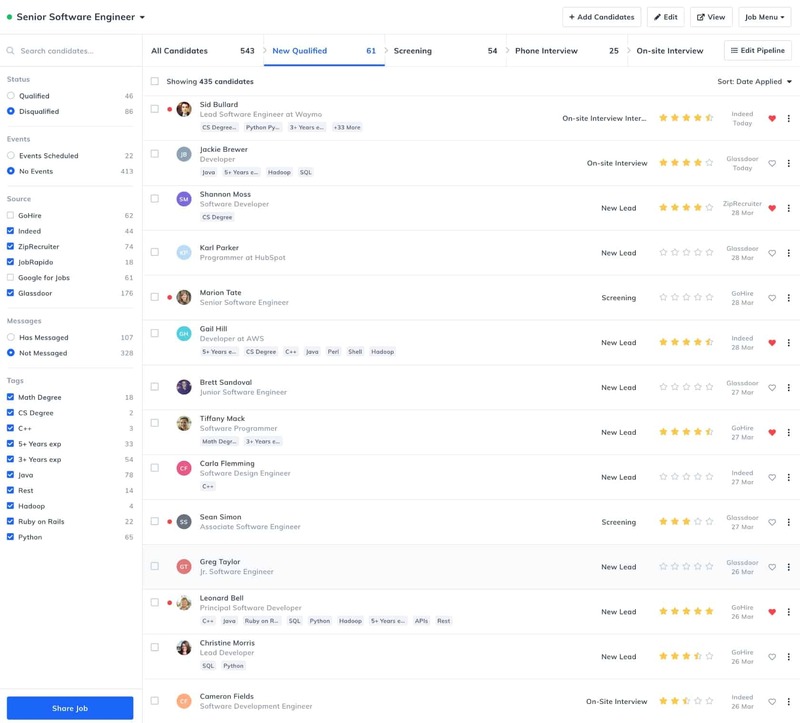 GoHire gives you the tools you need to discover and attract top candidates, manage all your applicants in one place, and hire the best people for your business. Get an instant and up-to-the-minute view of your entire interview schedule, all in the cloud. 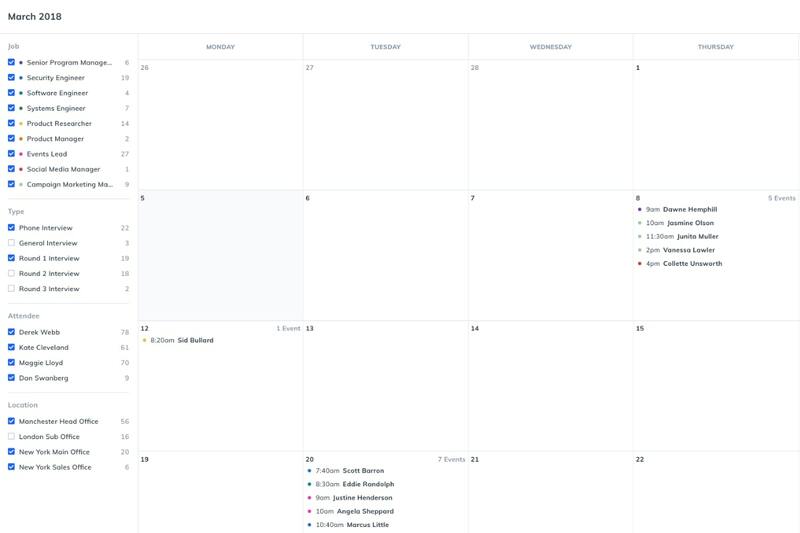 Sync your Google Calendar, Apple Calendar, or another alternative and keep on top of all your events. Every one of your applicants gets their own dashboard to manage their events too. 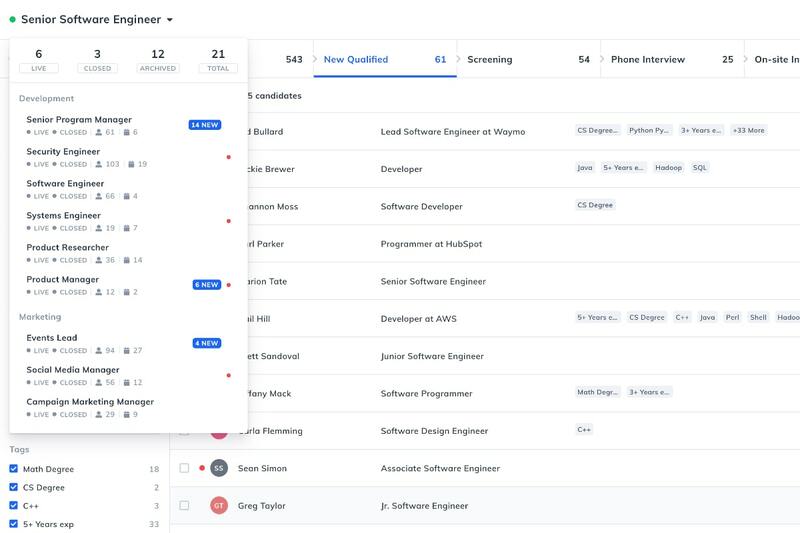 Create, edit, and build your recruitment pipeline to keep track of every stage of your hiring process. Style your careers page, get a powerful application widget, and attract top candidates with GoHire’s careers page designer. Get unlimited co-workers invited to your account and make crucial hiring decisions together. Beautiful candidate profiles gives you a complete overview of every applicant in your recruitment database. GoHire works seamlessly across any device, anytime, wherever you are in the world. You won’t lose out in the fight for talent again. Get world-class support from our tech team, anytime, with any issues you are having with your account.